Half way through my 365-day human powered challenge, Powered by Me, I made a promise to myself. That I would always seek ways to better myself, to push my boundaries in order for me to shape, break and build myself back up again. So even before Powered by Me was over, I was already brainstorming the next challenge. At the time my marriage was breaking down and I was struggling to cope with daily routine. For the first time in my life depression seeped in and my days went from being happy to having almost no positive outlook. I knew I needed something drastic to help me, to keep me focused somehow. So I boldly asked work if I could take 3-months off work unpaid. Without hesitation they said yes, I couldn’t believe it. I had no idea what I was going to do with the time off, but knowing I had it to look forward to gave me some hope. After travelling a whole year human-powered, I knew that my next big challenge would be sport related. I felt so fortunate to be in a position where I could take 3-months off work, to do something for me and even better knowing that I have a great job to come back to – win win! So I decided to spend the 3-months going on a very long bike ride around Europe. I’d done a bit of cycling around Europe during my 365-day human powered challenge and remember these rides fondly. Such as Bressuire to Annepont, France + wedding day! and Argentre to Bressuire, France. After talking to a few friends who had been on multi-country bike packing trips like Kieron Ramsay and The Cycling Sausage and following inspirational riders like John Horsfall, I had made my mind up. Bike was going to be my mode of transport and Europe would be my continent to explore! I decided on where to ride by writing a list of countries that I wanted to explore. I felt safe knowing that anywhere in Europe would be relatively safe for me (as I was going solo), possibly have a good range of cycling networks and paths and easy for me to travel back home from. I wanted to avoid having to fly anywhere with my bike at the start or during the trip, instead planning to take ferries and trains and aiming to only fly to get back home at the end. Part 1 of the trip is to cycle from Holland through Germany, Austria, Slovenia, Serbia, Croatia, ending in Dubrovnik to catch a ferry to Bari in southern Italy. My route won’t necessarily be this straight as I also want to cycle through countries like Hungary and Montenegro, but the route below is the rough itinerary! Don’t worry – I AM NOT walking the route, it’s just that Google Maps didn’t allow me to map this using the Cycling option. Once I’ve travelled to Dubrovnik I am going to take the ferry over to Bari in Southern Italy. I’ll be doing some cycling around Italy but also spending some time resting and doing touristy stuff around Naples, Rome and Florence. By this time it’ll be August so I expect it to be seriously hot and humid and I might welcome a break from sitting in the saddle! Rather than continue from Genoa and cycle back to London, I wanted to instead venture to other countries where I may never get the opportunity to cycle in again. I’d heard of the Trans lberia, a route across Spain from Barcelona and into northern Portugal ending in Porto. All in all, it seems a good way to spend my final week riding before heading back to London! Any cycling recommendations in Europe? Whilst I have a few ferries booked, one flight home and an Italian holiday in the middle, I am keeping my cycling route open and flexible. Who knows what will happen? The weather might be crap, my body might not be able to handle the riding day after day. I might find I want to cycle for more hours in the day, covering more distance? Maybe cycle in a different country, or join other cyclists touring? I have never done anything like this before so I don’t have the answers to my own questions 🙂 BUT, what I do know is that I have an incredible opportunity most people wouldn’t even have the courage to ask for, so I am going to stay true to my heart and have a phenomenal 3-months – hopefully cycling around Europe as that certainly is the ‘rough’ plan! Less than 3-weeks to go & preparations are well underway! With less than 3-weeks to go until I leave on my bike for Holland, I still have a lot of preparations to do. 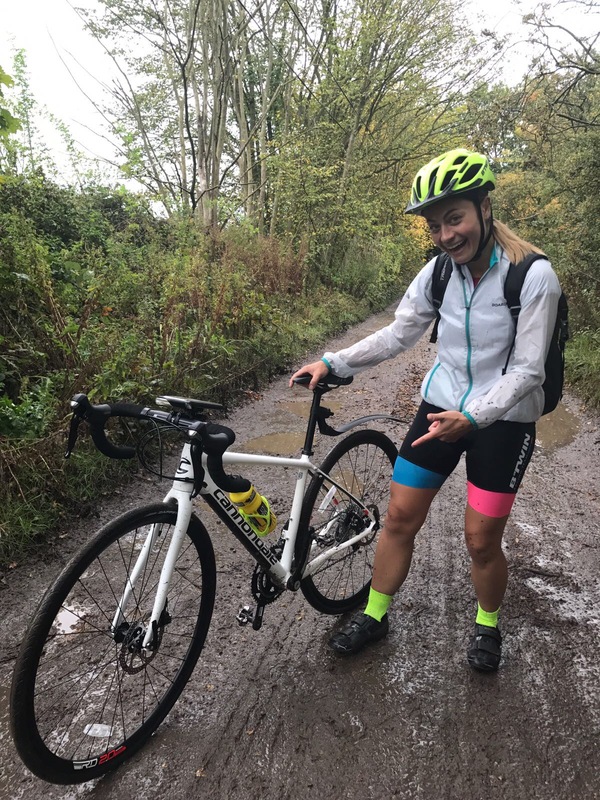 I can’t thank enough The Cycling Sausage, Kieron Ramsay, Jon Stainsbury, Alice Clare Fitness and Chris Luche for providing me with some insanely good tips to get started and begin preparing (properly). You have all helped me kick start my plans and made me feel more confident about the road ahead. From kit lists, through to choosing a bivvy bag over a tent, I am getting more and more excited as my equipment and kit arrives! The next steps are for me to complete my equipment and kit list, begin planning out some of the detail of the countries I plan to ride through, alongside a bunch of admin bits and pieces (e.g. insurance!) and going on a few rides with my kit to test the weight and make myself feel comfortable with my new routine – cycling all day and wild camping at night. Watch this space for more updates and wish me luck!